Engineers at Massachusetts Institute of Technology and Harvard Medical School adapted techniques from the semiconductor industry to create simulated brain tissue in the lab. The researchers published their findings online this week in the journal Advanced Materials (paid subscription required). 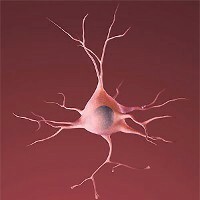 The technique devised by the team of medical researchers, biomedical engineers, and computer scientists produces simulated three-dimensional tissue samples made of living brain cells, allowing scientists to study how neurons form connections and predict the way individual patients might respond to drugs affecting the brain. The research could lead to bioengineered replacements for damaged brain tissue. While artificial tissue for other organs, such as liver and kidney, has been grown in the lab, growing brain tissue is an even more difficult task. “One of the challenges is the incredible spatial heterogeneity,” says MIT biological engineering professor and co-senior author Ed Boyden. “There are so many kinds of cells, and they have such intricate wiring.” Brain tissue includes many types of neurons, including inhibitory and excitatory neurons, as well as glial cells that support neurons but do not conduct electrical impulses. Boyden and senior co-author Utkan Demirci from Harvard-MIT Division of Health Sciences and Technology took brain cells taken from the primary cortex of lab rats, and mixed the cells with components of the extracellular support matrix, into sheets of hydrogel. They then stacked the sheets of hydrogel into layers. The layers of hydrogel sheets can be sealed together using light to cross-link the hydrogels. The team regulated the precise exposure of the hydrogels to light, with a technique borrowed from semiconductor fabrication called photolithography that uses photomasks to build integrated circuits on semiconductors. In this case, the photomask controlled the shape of the hydrogel exposed to light, and thus the shape of the artificial brain tissue created through this process. One major difference between this type of cellular photolithography and semiconductor fabrication is the cost. Boyden, Demirci, and colleagues made photomasks from sheets of plastic like that used in overhead display slides, with simple pins to keep the photomasks aligned with the hydrogel layers. Semiconductors need a a photomask alignment machine that can cost in the tens of thousands of dollars. The process developed by the MIT-Harvard team can produce simulated brain tissue that is inexpensive, precise, and allows for the generation of complex patterns. The brain tissue analogs can be made to a precision of 10 microns, comparable to the body size of a single cell. At this scale, the simulated tissue includes a collection of different brain cell building blocks, in the same ratios as they do in natural brain tissue. One immediate goal of these brain tissue analogs was to better understand the way neurons form the connections that allow them to communicate with each other. The researchers investigated the effect of building block size on the growth of neurites, the long extensions that neurons use to communicate with other cells. They discovered that for neurites, size of their environment matters; the larger the cell building blocks, the more growth of neurites on the neurons in those blocks. Longer term, the researchers believe these simulated brain cells can help design implants to replace damaged brain tissue. Another application is personalized medicine, where cells from a patient with a neurological disorder could be transformed into induced pluripotent stem cells, then use the stem cells to induce simulated brain tissue to grow into neurons in a lab dish, as a medium for testing potential treatments. With this platform, “you might be able to figure out if a drug would benefit that person without having to spend years giving them lots of different drugs,” says Boyden.